I hate when people tell me what to do. It comes as no surprise then that some of my kids also hate when people tell them what to do. As a mom I sometimes feel like all I do all day is tell people WHAT to do, WHEN to do it, and WHAT THEY NEED to have in order to do it. Does anyone else ever feel the same way? As a teacher I learned how important it was to build choice into our day and give some of that power back to my students so that we didn't get into power struggles. In my opinion if parents are engaging in a power struggle with their kids and trying to assert their "I'm the mom so you'll do what I say" power then it is really the parent that has lost... even if they actually "win" the power struggle and the child complies and does what they want. When kids are engaged in a power struggle with a parent the kids are just angry or frustrated and really aren't able to learn. In our home we try and give kids a lot of opportunities to wield power in positive ways. When we give kids positive power over small things then they typically get their fill of being in control so that when things come up where they really don't have control, they don't feel power deprived and don't feel the need to engage in a power struggle. I love to let little kids have power over insignificant parts of our day that aren't a big deal to me but can be a big deal to kids. I only give kids choices that I am OK with. For example, I wouldn't give kids the choice between whether they want to nap or not. I would give them the choice between if they wanted to nap with their blue blanket or their brown one. Or another similar choice like that. I wouldn't give kids a choice about whether they want to clean up or not, I would give them a choice about whether they wanted to clean up the cars or the legos first. Sometimes however, there isn't a big choice. One could be, "You can climb into your car seat or I can help you in"... or another could be "You can be happy as we walk to pick up your brother or you can be grumpy." In both cases the child still had a choice, but the options were a bit more limited. Keep some food in a location where they have access. Have a variety of items that you consider healthy or good options for them to choose from. Give them a choice of two or three things or give them a few items on their plate, they choose what they eat that is on that plate. Give them two options that you are ok making for breakfast, let them pick which one you make. Have them help you with meal planning/grocery planning so that you make sure to include things they do like on the menu. We love to do rainbow grocery shopping hunt. Create a snack bar on your table and let kids pick and choose from the snack bar items what they want to eat for snack. Do you want to walk (or crawl) to naptime or be carried? Which blankets/stuffed animals do you want to have in your crib? Do you want to wear pjs or the clothes you have on? Where do you want your stuffed animals to go (here or here)? Do you want to help turn the light off or do you want me to do it? Do you want to turn your sound machine on or do you want me to do it? I don't use every single one of these choices every day, but if my toddler is starting to get tired and is starting to get defiant I can immediately diffuse a power struggle and get him to cooperate by giving him a choice. If he has a hard time choosing then I will choose for him. Some kids don't actually care and/or have a hard time making a decision, so in those cases I wouldn't push it if trying to get them to pick something is hard. Once my toddler moves out of the napping stage then I will establish a daily quiet time with him like I've done with my other kids. The kids can choose which room in the house they want to have quiet time in and then they get to choose from some select activities how they will spend their quiet time. My older kids and toddler have chores. 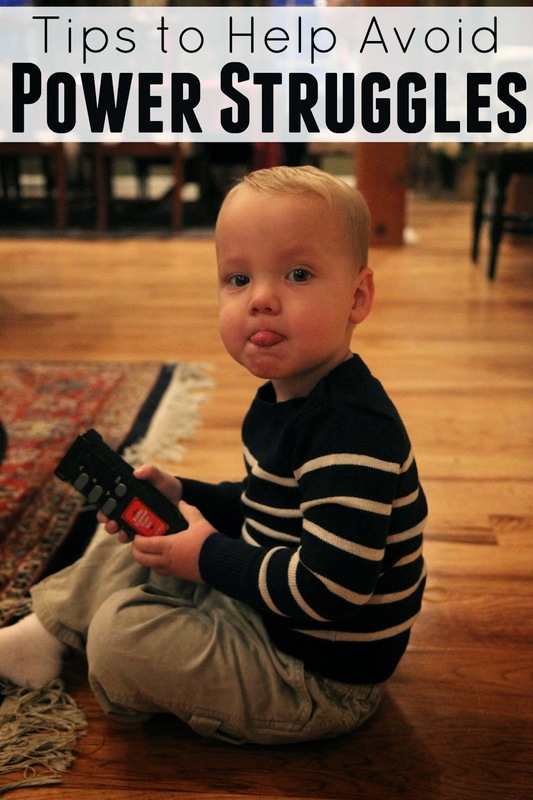 My toddler mostly runs around and helps me with things and is happy about it. The bigger kids (my kids are ages 6 & 4) are usually the ones that would rather stay playing and not help clean up. These are just some of the ways that I get them working. Our 5 minute speed clean up before dinner is always fun. Sometimes I also like to get them involved and helping by playing chore games... like this this four in a row family cleaning game. 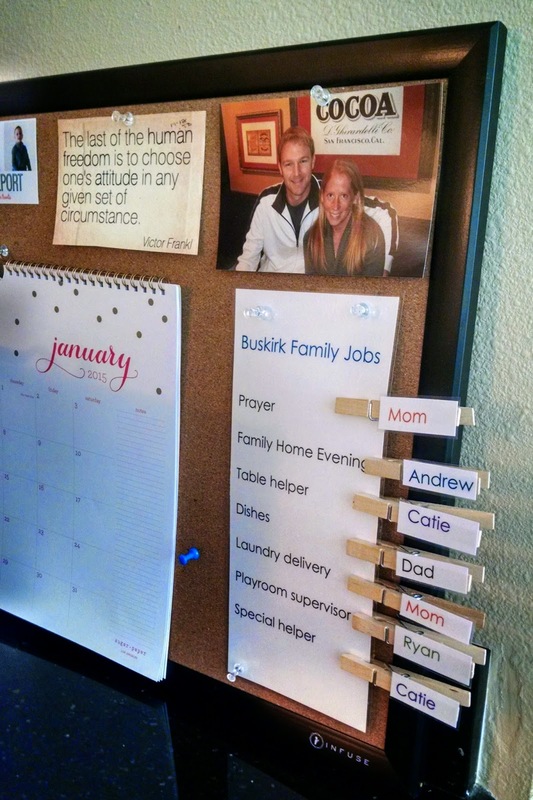 Not only do kids have chores, but they also have family jobs that change on a daily and weekly basis. We have a weekly family night and one child gets to be in charge for the month and plan the schedule. That one child works with me to plan each family night and pick the snack/games/excursion we enjoy. We meet together four times a month as a family. 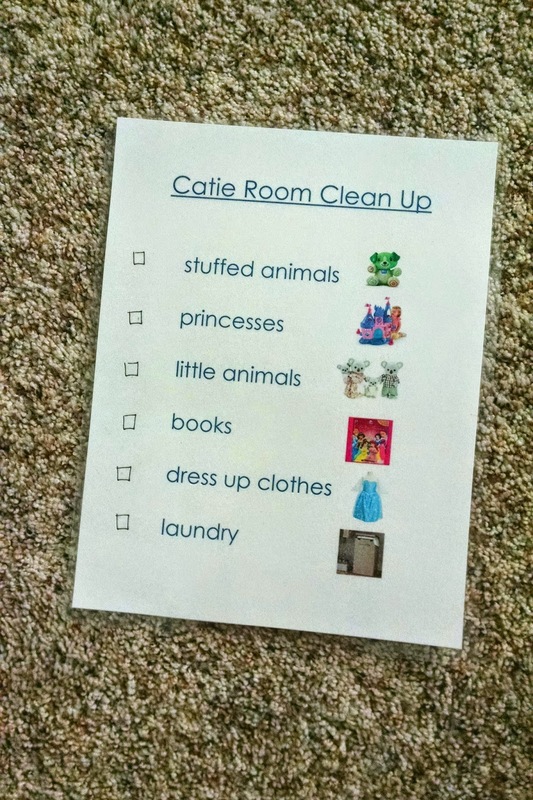 The kids each have assigned daily roles. The kids get to lead in that area on their assigned day (dish monitor, playroom supervisor, setting the table, etc). The younger kids get a lot of help from me on their "assigned day" to train them how to do their job. You can label the drawers with images and they can select for themselves what they want to wear from each drawer. 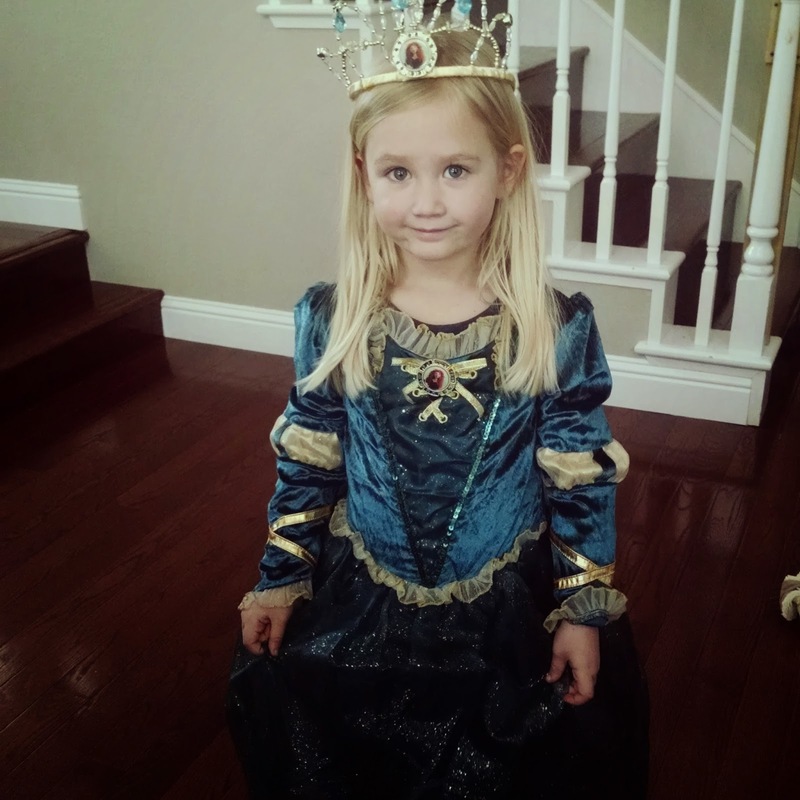 Lately none of my kids want to choose their clothes so we have the opposite challenge. I want them to learn to choose their clothes and get dressed independently so I give them choices about which part of getting dressed they want to do versus me to be doing. The main way I avoid having power struggles for clothes is by only buying clothes (or keeping clothes in drawers) that I am OK with the kids wearing. 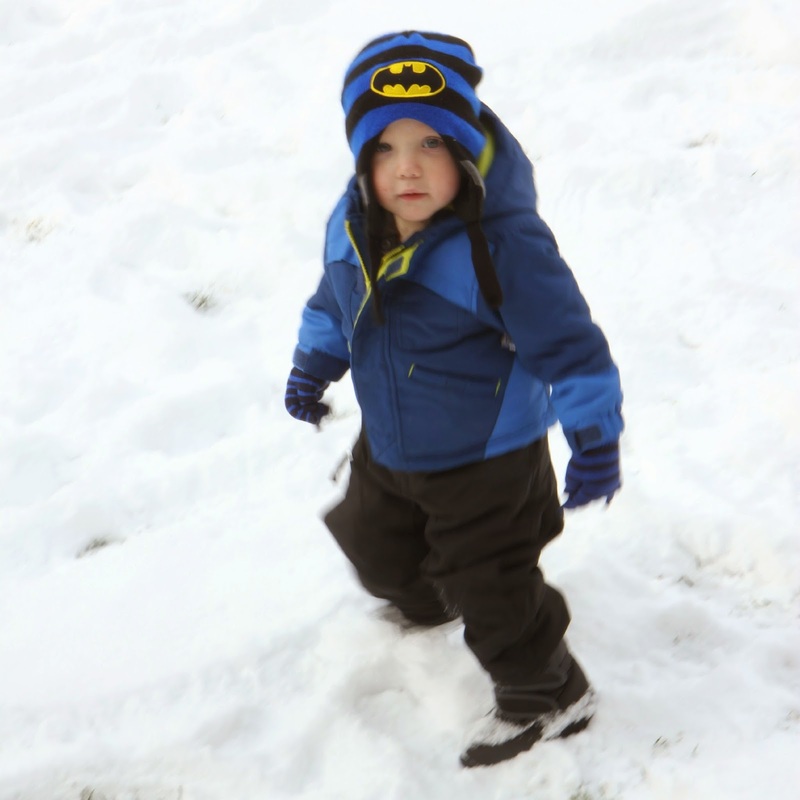 If the kids don't want to wear weather appropriate clothes then we talk about how they can choose to bring either a sweatshirt or coat for if they get cold. I get hot easily so I like to wear clothes that are innappropriate for the weather sometimes too. I find that by having the kids bring a jacket or sweatshirt it does get used when they finally realize they are cold. When we are in places where there is snow, if the kids don't want to wear gloves and hats then that is totally their choice... but then that choice means they don't get to go outside to play in the snow. My kids are really rules focused so they only want to wear costumes out of the house if it is Halloween and they never want to leave the house in their pjs. If they did want to do those things, then we'd chat about when that is OK and when it isn't OK in order to keep their costumes and PJs tidy. For example, I am OK with kids wearing their PJs in the car but I am not OK with them wearing them to play with the sand in the park. Every family is different so everyone's rules will look different. Adding in a little bit of choice will create less of a power struggle. Bedtime can be another key power struggle time. One way that we reduced power struggles for our kids ages 4+ was using this A Better Bedtime strategy from A Mom with a Lesson Plan. For our toddler embedding choice into the bedtime experience has made all the difference for him. Which toothbrush and toothpaste do you want to use? Do you want the blue toothbrush or the green one? Do you want choose the book that we read or should I choose? Do you want to choose 1 book or 2 books? Do you want to sleep with 1 stuffed animal or two stuffed animals? Do you want your nightlight on or off? 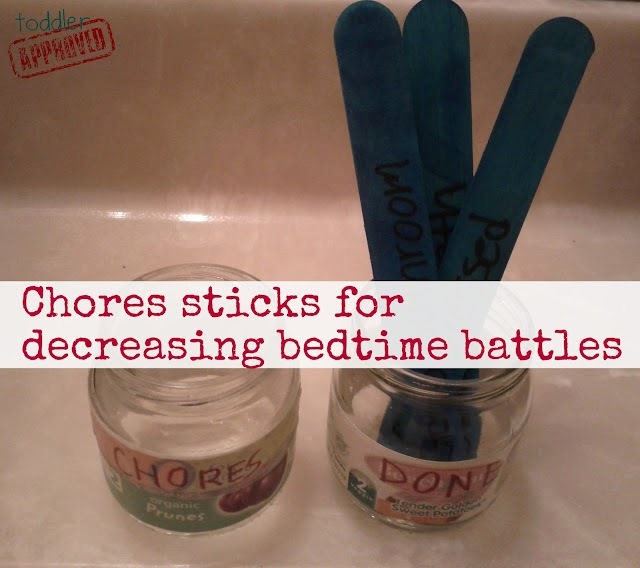 We have also used chore sticks to decrease bedtime battles during certain stages. Alright, so this my basket of tricks at my house... but every family is different, so tell me how do you give kids in your family positive power! How do you avoid power struggles without being a passive parent? Do you want to learn more positive strategies to help decrease power struggles in your home? Check out Amy McCready's Positive Parenting Webinar. These are great ideas! I have a hard time getting my son to leave the house these days. He's newly 4 and some days just refuses. The only way I can budge him is to get mad, which I hate doing. I can't really tell if it's just a power thing or if he is legitimately anxious about leaving. I think I'm going to try a checklist so he can focus on that as we leave. Hopefully it will help! Kristina, Thank you so much for your insight. I have noticed some great behavioral improvements in my son (18 months) since giving him other positive choices throughout the day. You offer so many great suggestions I hadn't even thought of and I look forward to using. We have had success in the bath tub too with, "Do you want to wash your own face, or do you want me to do it?" Same for toes and tummy. Great positive behavior supports! Offering choices is so helpful. Thanks for sharing your article.